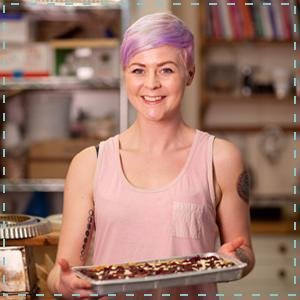 Inside Cakesmiths Bakery: Meet Kat. Meet Kat. Cake Artist. Number one priority: making sure our cakes always look as good as they taste. Take it away Kat: "There's a distinct Bristol vibe to the bakery at Cakesmiths. 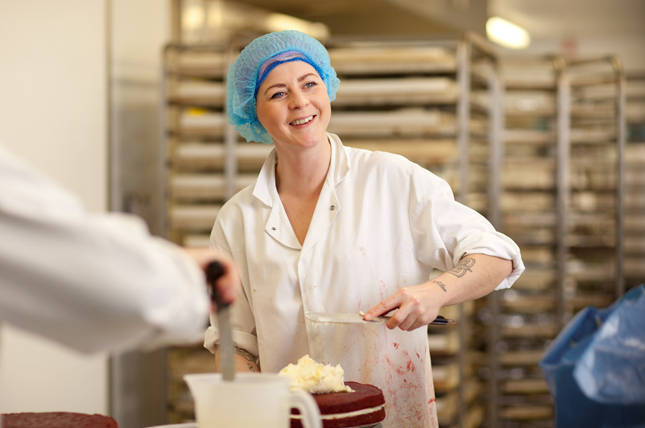 Real camaraderie exists between the eclectic team on the bakery floor, and you instantly recognise the lovely smells once you come through the door. 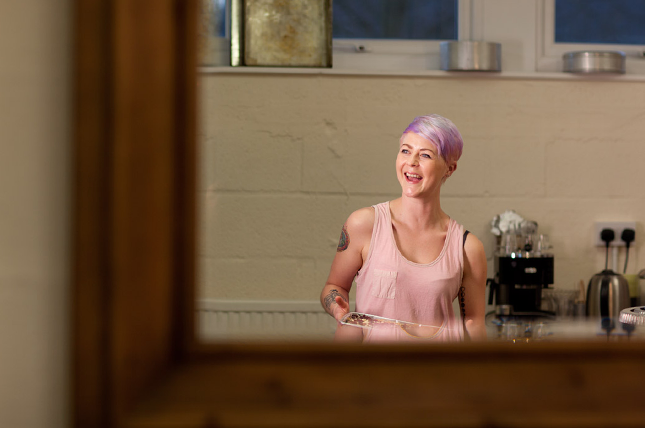 I've always been creative and enjoy baking - at home you'll catch me cooking, painting or readying my sewing machine - so coming to Cakesmiths each day to make sure our cakes look as good as they taste is definitely not your average 9 to 5 job." "You need patience and a delicate touch to be a cake finisher. I'm pretty handy with a pallet knife for the challenge of icing and love cake layering too. 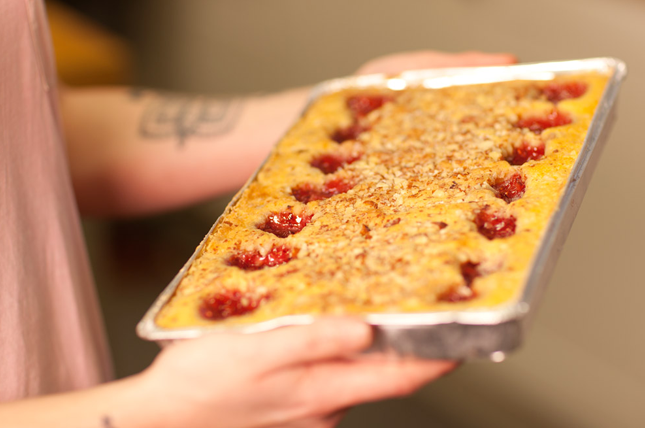 And because the Innovation Kitchen team are always coming up with new and seasonal bakes, it's certainly never dull, with new recipes and decoration skills to learn on a regular basis. The twists and turns of the Cakesmiths Bakery - it's a great place to be!"